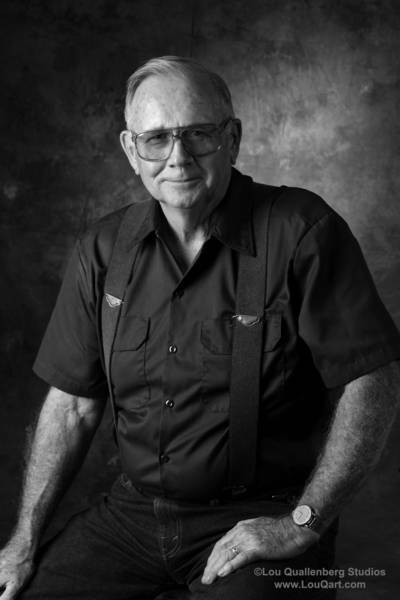 Steve Allen Walker served as an Industrial Arts Teacher with the Austin Independent School District for 32 years where he touched the lives of many students. Serving as a teacher, role model and father figure, each year several of his students spent endless, extra hours before and after school working in his classroom / shop. 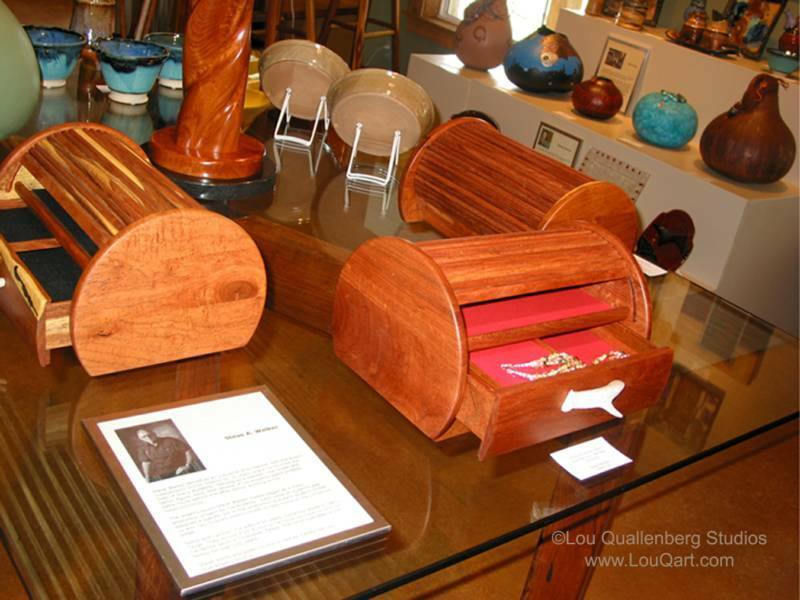 The mesquite jewelry boxes that Steve Walker makes began as a mass production project for his students. 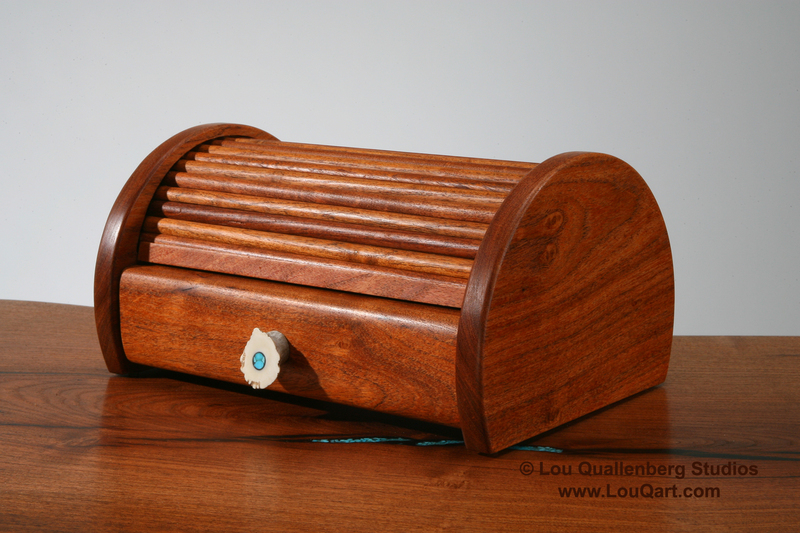 Each table of students was assigned a specific job in the production and each student ended up with two finished jewelry boxes to take home at the Christmas break. Steve and Carolyn, his wife of fifty plus years, currently reside in Llano, Texas. 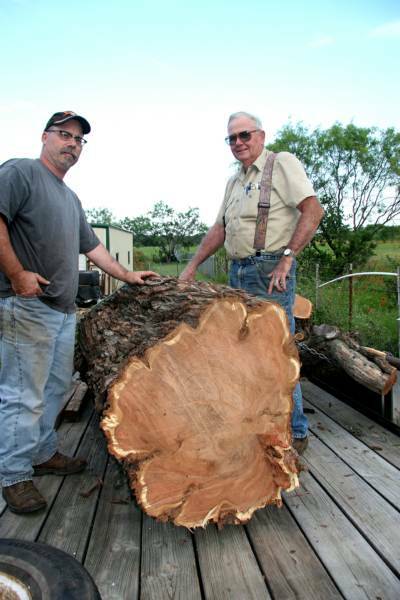 They moved from Austin to the Texas Hill Country so that he could be closer to his family ranch in Cherokee, Texas. The ranch has been in his family for over 100 years. 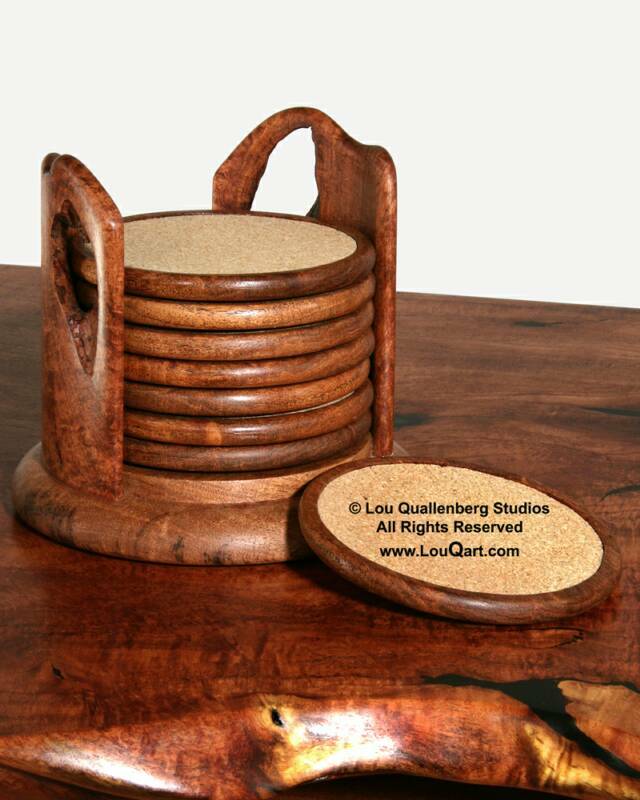 Steve works hard alongside his son-in-law as mentor and genius for Lou Quallenberg Studios. Please call us for availability and prices.